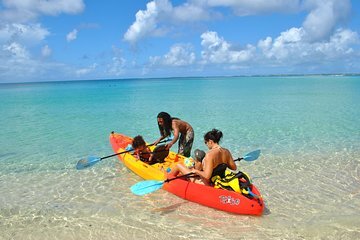 Kayak and snorkel around Creole Rock in French Marine Park on this 3-hour excursion from Grand Case. Follow your experienced adventure guide in a Hawaiian-style canoe or kayak through the azure waves to Creole Rock, home to native birds like the majestic pelican. Slip into the water wearing snorkeling gear to experience the underwater world filled with vibrant coral, colorful fish, sea turtles and sting rays. Use of all equipment is included.